Do you need to see The Room before you see The Disaster Artist? The Vulture consensus seems to be no, the movie stands perfectly fine on its own. 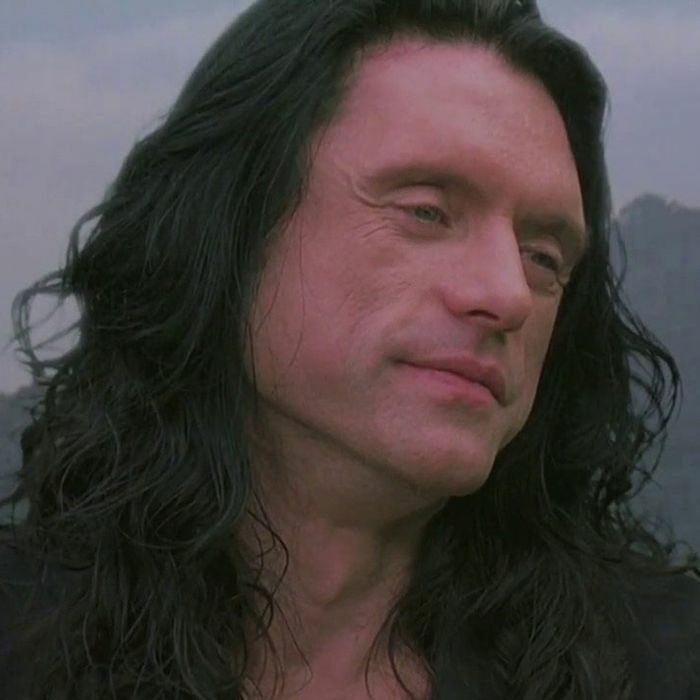 But should you decide you need to watch Tommy Wiseau’s opus before checking out the story of its creation, you may find yourself with a very 2017 problem: The Room isn’t streaming anywhere. Not Netflix, not Amazon, not Hulu, not HBO, and certainly not FilmStruck. You can’t rent it on Amazon — though you can buy the DVD there, if you don’t mind waiting for it to come in the mail — or on iTunes. Unless you choose to resort to less-savory ways of obtaining the film (and you wouldn’t do that to poor Tommy Wiseau, would you? ), you’ve got no choice but to leave your house in order to experience the wonder and horror that is The Room. However, I’ve got two pieces of good news for you. The first is that seeing The Room in a theater full of crazy people is really the best possible way to see The Room. (James Franco’s first time was at a Vancouver screening. As he told me, “By the time that screening was over, you could swim in the piles of plastic spoons at the front of the theater.”) The second bit of good news is that The Room is going to have a one-night-only wide release on January 10, screening in 600 theaters across the country. (You can find tickets here.) For context, that’s slightly more theaters than Wonder Wheel played last weekend, which means that, for just one day, Tommy Wiseau will be as important a filmmaker as Woody Allen. If you have plans on the 10th, I’ve got good news for you: The Room has screened more or less continuously since its release in 2003, and even more showings have popped up because of The Disaster Artist, mostly at Landmark and Alamo Drafthouse theaters. In New York, it’s playing at late-night showings at the Landmark Sunshine for the next few Fridays and Saturdays. In Los Angeles, the Landmark Regent near UCLA is doing the same thing. But if you’re going to see The Room, I strongly suggest going to one of the screenings where Wiseau himself will be in attendance. It’s the closest experience you’ll ever have to going to a Trump rally, only here, the fame-hungry middle-aged man whose cult of personality you’ve chosen to join is relatively harmless. Wiseau has been to a few screenings this winter, and he’s set to visit New York’s Landmark Sunshine the weekend of January 12. The movie’s official website has what’s ostensibly a complete guide to Room screenings around the globe. However, the site is a 2000s-era creation that’s about as confusing as the film itself. Here’s our best attempt to summarize the film’s screening schedule in a more legible fashion. Atlanta: The Plaza Theater starting November 30. Dallas: Inwood Theater on December 29 and 30. Detroit: Main Art Theater on January 5 and 6. Minneapolis: Uptown Theater on December 29. Philadelphia: Ritz at the Bourse on January 12. Phoenix: Filmbar on December 29. San Diego: Ken Cinema, the first Saturday of each month. San Francisco: The Clay Theater on January 12 and 13. Washington, D.C.: E Street Cinema, the second Friday and Saturday of every month. This post has been updated to include the wide release of The Room on January 10.